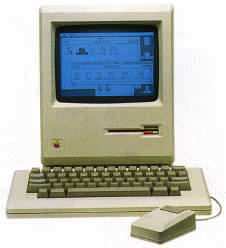 The Mac that started it all. Sadly, the original version of this essay from high school is lost. Below is the second version submitted for a freshman college english class. (I had the flu and needed to submit something quick!) This was written in one sitting in the computer lab on WordPerfect and MS DOS, and printed out on a real laser printer! The professor didn’t grade the essay, but was convinced I was really sick. She gave me an extension to write a real essay that was on topic after I recovered. The spelling of today’s English language is painfully confusing. For every rule, there are tremendous exceptions misleading the unwary or undereducated populous into aggravation, grief, and despair. Although every language changes through the generations, English’s contradictory spelling is due largely to the fact that in borrowing foreign words, the spelling was kept even though the rules for pronunciation conflicted. The result, a foreign rule for spelling was adopted as an exception to our rule. The extensive vocabulary borrowed from Latin, Greek, French, etc. made these exceptions more frequent than the rules themselves. The ramifications of this situation are staggering. Billions of dollars are spent every year in trying to teach children how to use this cumbersome system. Millions, in developing spell-check programs, are spent to help adults even after all those billions were spent teaching them in school. Foreigners have incredible difficulty in reading and writing English. They, however, are not to be blames since many natives never get the hang of it either. This paper is neither a historical lecture nor a linguistic criticism. Its purpose is simply to suggest a method of simplifying the spelling system we presently deal with. 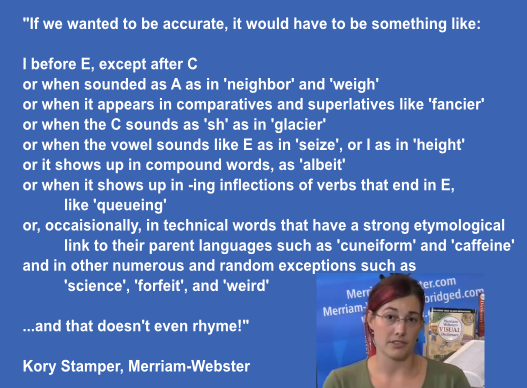 Linguistic notation, though very useful, would be inappropriate to use as the new system for various reasons: 1) the spelling would differ from speaker to speaker, 2) it would not be easy to teach to grade schools[sic], 3) countless dollars worth of typewriters, computers, presses, and existing literature would be rendered obsolete. For these reasons, the proposed system utilizes the same letters we already use today. Some restrictions of usage will be imposed along with definitive standardization. In the end, there will only be one way to spell a given word (say goodbye to homophones). Furthermore, the necessary changes are drastic. Imposed all at once would surely invite opposition and disaster. Taking this into account, this proposal divides the restructuring into successive phases about a year apart to make the change gradual and alleviate the chance of cultural shock. The first change would be the elimination of the unnecessary letters c, x, or q. These letters are easily replaced by s or k, ks or z, and kw respektively. The ch sound kan then be substituted by tsh, and cious by shus. This is a minor adjustment that is going to rekwire some getting used to in our sosiety. It will feel awkward at first and undoubtedly lead to some konfusion. After a year of perseveranse, however, I am konfident people will feel kwite komfortable with the tshange. Komfortable enough, in fakt, for step number two: the standardization of the konsonants f and v, g and j, and s and z. The first ov eatsh being unstressed and the sekond stressed. Alternate spellings of f sutsh az ph or gh will also be replased by f. Silent konsonents will at this point be eliminated. Althou this tshanj iz mutsh more diffikult than the first, a year iz enouf time to akkommodate even the most stubborn people. Now that the spelling reaissanse iz under full swing and everyone iz supportive ov this massive undertaking, the biggest and most long-awaited step will bekome reality: the standardization ov vowelz. The a in bat will only be represented by a. Similarly the e az in bet, the i az in bit, the o az in mop, and the u az in but will become e, i, o, and u, respektfully. Thus the traditional “soft” sounds will be represented by a single vowel ov the same name. The schwa sound will also be eksklusively e. The “hard” sounds sutsh az teh a in bait, e in beet, i in bite, o in boat, and u in boot ar to be written az aa, ee, ii, oo, and uu. The vowel sounds in bought will bee reeplaased bii au, az thooz in boy ar reeplaased by oi, liikwiiz for the sound in bout beeing reeplaased bii ou. This will eliminaat the need for siilent e’s and anee y’s az vouwelz. This, beeing the graatest step yet, will alsoo bee the moost diffikult tuu get thruu. Houever, if wee alou mor tiim heer for adjustment, the moomentum will bee lost. Tuu keep theez tshangjez kuming, but tuu alsoo alow for this last ekstensiv modifikation, this yeer wee will simplee eeliminaat dubl konsonents, substituut shun for tion, and not yuuz apostroofeez eksept tuu shoo pooseshun. Theez miiner tshangjez wil ad mor stres tuu the dubl voulz and seem az a natural ekstenshun ov the alteraashuns that hav bin akuring al along. Wee hav, houever straaed from our purpus in that thaar ar three leterz that hav bin niglekted on the tiipriiter for sum tiim. For the saak ov kunveenyens, if not of rthe saak ov keeping theez three keez luved, thaa kan bee reeasiined az falooz: c kan reeplaas tsh; x, th; and q, the ng sound. Bii eeliminaatiq xe last eksepshun wix xe letr g, wee hav finished our task. Nou at last wee hav a wurkiq sistem ov speliq xat iz short and unkomplikaated. Sum wordz havnt caanjed a bit wiil oxerz are virtyuualee unrekogniizabl. Ov kors in tiim, peepl wil forget hou tuu reed xooz aancent liibraaree buks sitiq on dustee shelvz. Suc iz liif. Wee kanot kontinyuu forward whiil kliqiq ontuu xe past. Twenteeix sentyurii Iqlish wil beekum an art for historeeanz tuu reed, printerz tuu tranzlaat, and cildren tuu be glad xaa doont hav tuu lern.